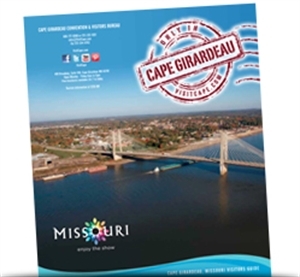 When you’re ready to go where the livin’ is easy, come to Cape Girardeau. Few cities manage to combine surprisingly low-priced living with extraordinarily high quality of life. The average three-bedroom home runs $130,000; taxes and unemployment rates are also lower than the national average, while per capita spending on the arts is nearly double that of most cities. An award-winning Chamber of Commerce, multiple higher education centers, medical facilities, and nearly 40,000 community-driven citizens bolster our economy as well as our cultural, educational and philanthropic offerings. Whether your vision of your next stage in life is finally making it through your book club list or becoming busier than ever learning, gardening and volunteering, you will find easy livin’ in Cape Girardeau. For complete information regarding Cape Girardeau, check out www.boomerswelcome.com. From historical treasures to family friendly attractions, from outdoor adventures to antique shopping, from theater productions to art studios and galleries, you'll find a wonderful experience awaiting in Cape Girardeau, MO. Get your free Visitor’s Guide. Browse. Plan. Come. Enjoy! Memories to create. Stories to share! Only in Cape Girardeau, Missouri. 800-777-0068. VisitCape.com. See you soon! Cultural activities abound in Cape Girardeau. Stroll through historic downtown Cape Girardeau and check out the gallery and studio exhibits on the First Friday of every month. Reflecting the area's appreciation of it's rich history and heritage, numerous murals create a beautiful backdrop for some of the city's most charming areas. The Mississippi River Tales mural tells Cape Girardeau’s story past and present, and the Missouri Wall of Fame chronicles famous Missourians. Artistic talent abounds throughout the many galleries and studios. The Donald C. Bedell Performance Hall is located on the River Campus of Southeast Missouri State University. The theater is a popular event venue for the performing arts. The theater can seat approximately 950 guests. The Cape Girardeau County Transit Authority's mission is to provide safe, reliable, efficient and cost-effective transit services to all residents and visitors of Cape Girardeau County, Missouri. Our services are designed to assist the general public in meeting their physical, social and psychological needs, and to promote their health, security, happiness and usefulness in longer living. The Cape Girardeau County Transit Authority offers a variety of services including Demand Response Vehicles, often referred to as Taxi services, and Deviated Fixed Route services, which are a type of hybrid transportation that combines Demand Response and Fixed Route principles. The Cape Girardeau Regional Airport is owned by the City of Cape Girardeau. Located approximately five miles from downtown Cape Girardeau, the airport is easily accessible from Interstate 55. Cape Girardeau Regional Airport is a full service airport that offers a wide range of services for all aviation types and is committed to enhancing the overall level of service to the traveling public and industry. St. Francis HealthCare System serves the Cape Girardeau area. Landmark Hospital is a facility that treats patients with catastrophic or chronic medical conditions. The main medical center is a 280-bed facility in Cape Girardeau that serves over 650,000 people. Patients come from Missouri, Kentucky, Tennessee, Illinois, and Arkansas. Some of the services offered at the main campus are the Neurosciences Institute, Orthopedic Institute, Family BirthPlace, Heart Hospital, Emergency and Trauma Center, Cancer Institute, and Fitness Plus. Jan 23.5 F° 32.5 F° 41.5 F° 3.5 "
Feb 27.0 F° 37.3 F° 47.5 F° 3.7 "
Mar 35.5 F° 46.8 F° 58.0 F° 4.6 "
Apr 46.0 F° 57.5 F° 69.0 F° 4.5 "
May 56.0 F° 67.0 F° 78.0 F° 5.4 "
Jun 64.5 F° 75.5 F° 86.5 F° 3.8 "
Jul 68.5 F° 79.0 F° 89.5 F° 3.7 "
Aug 66.0 F° 77.8 F° 89.5 F° 3.1 "
Sep 57.0 F° 69.3 F° 81.5 F° 3.3 "
Oct 45.5 F° 57.8 F° 70.0 F° 3.9 "
Nov 36.0 F° 46.3 F° 56.5 F° 4.6 "
Dec 26.5 F° 35.5 F° 44.5 F° 4.3 "
Please note that we haven't had a major earthquake in years, but we are located near the New Madrid Fault. Flooding is only an issue for those buying low-lying land right near the river to the north and south of Cape Girardeau. The city itself is protected by a floodwall and experiences no flooding. Tornadoes are primarily spring events, but can happen any time of the year. However, we have not had tornadic activity in the city of Cape for many, many years. Home care Senior center Visiting nurses Excellent, quality services are offered. 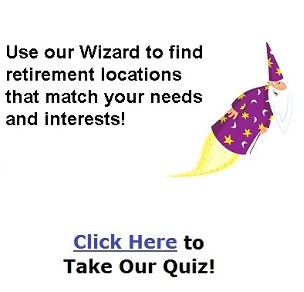 Retired Senior Volunteer Program. As well as a number of non-profit organizations throughout the community.